Part of the "Swat Team" greeting card series. 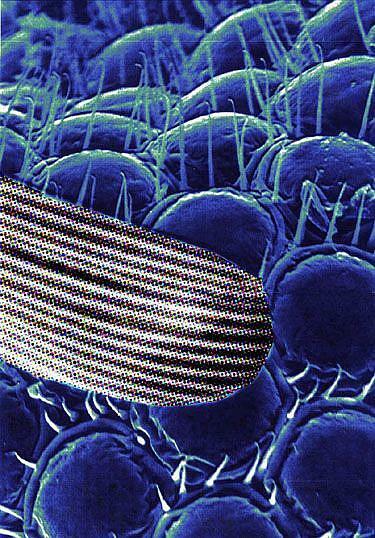 This is a digitally enhanced photo I took of a common mosquito's eye. This mosquito apparently had a run in with a moth and got one of the moth's wing scales stuck in it's eye as a result.